When I recently decided to set up a new workstation at home, I had a look at the available monitors. Without really thinking about it I assumed I’d just get a standard 16:9 monitor, but then I stumbled upon an article about an LG all in one PC with a crazy wide 21:9 screen. This really sparked my interest. 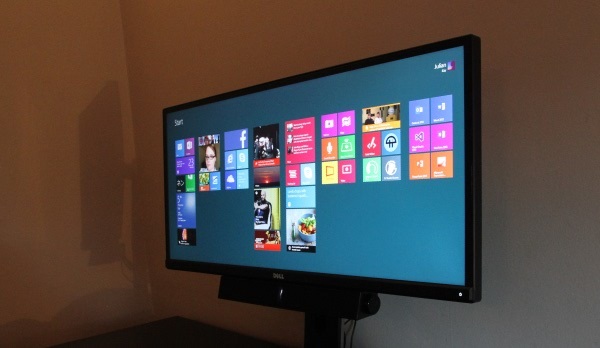 Not in the PC itself – but how these ultra wide screens work with Windows 8.1. Being a fan of Dell monitors, I decided to invest in a 29 inch Dell Ultrawide – so far it has done everything I’ve wanted, and I’ve been very happy with it. Windows 8.1’s snap feature allows you to use up to four different applications at the same time with one of these Ultrawide screens. This extra horizontal space has drastically changed how I use Windows at home. All of these screenshots are real examples of how I use Windows, and were taken over a few weeks of actual use. Basic tasks like email and note taking aren’t included, as I didn’t want to have to censor the content. When I was a teenager and still learning about the computer industry, my friends and I were easily caught up in the marketing of the latest Intel processors or Nvidia graphics cards. But quickly I learned that as long as the software can do its magic, I am contented with the hardware specifications. I do require a quality user experience though, which is why I tend to get computers and form factors that are ahead of their time, then stick with them until they just can’t perform the tasks any more, and one of the best examples of this was my old Sony Vaio C1. I got a Sony Vaio C1 back when they were brand new. Using the Crusoe processor, it was capable of running Windows 2000 and Windows XP without too much trouble. 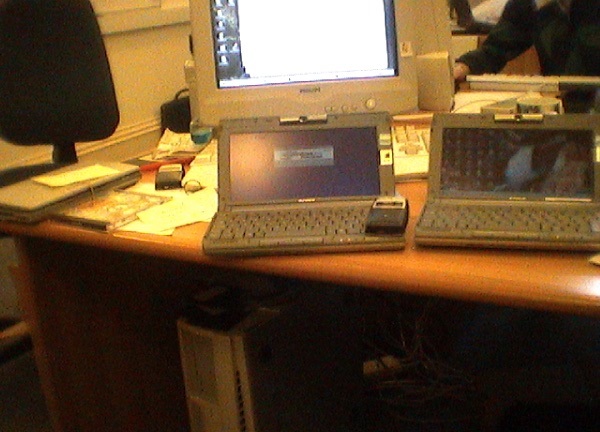 It’s actually running Windows XP beta in the above photograph (next to some early Windows CE based mobile computers). It was small, very small. Much smaller than any of my friends laptops. Initially it was to be used as a companion to my desktop computer, but it became my primary machine when the desktop eventually failed. It mostly kept up to the task, but the biggest problem was multi-tasking. Once you had some programs running in the background, the machine started to get sluggish. It was difficult to use PaintShop Pro when you’re trying to download the latest episodes of Buffy The Vampire Slayer on Kazaa. For the size the keyboard was pretty good, and the mouse pointer was certainly acceptable – though the mouse buttons were a little bit poor. The overall the hardware experience was actually very impressive, especially with the built in camera features (example photo below) and dedicated capture button. The extreme portability of this machine enabled me to take it out of the house more often than any other computer I’d owned previously. For me it really was the start of a different kind of computing, as well as my first taste of the kind of disposable photography that we all take for granted on smartphones and tablets today. The rest of the world hadn’t quite caught up though. While this was one of the first wave of computers to have built in Bluetooth (great with the Ericsson T28 as above), it didn’t have built in wireless networking. In fact, it didn’t have any networking built in at all (unless you count Firewire) and everything had to be added on by means of PC Cards. It didn’t matter too much though, as most people did not have wireless at home, and free wireless (like you get at Starbucks) wasn’t a thing yet. Using this small and underpowered computer for nearly all my computing tasks taught me something. It doesn’t really matter how powerful the computer is, as long as you are capable of performing your tasks. As long as the hardware and the software can do their magic together, everything is good. With my recent use of Surface devices I am at the start of another new type of computing freedom. I’m reminded that while these cutting edge devices may not be the ultimate machines in terms of specifications – they certainly can be used as primary computing devices. Like the Vaio C1 back in 2001, the Surface Pro 2 is the best PC for me at this time.